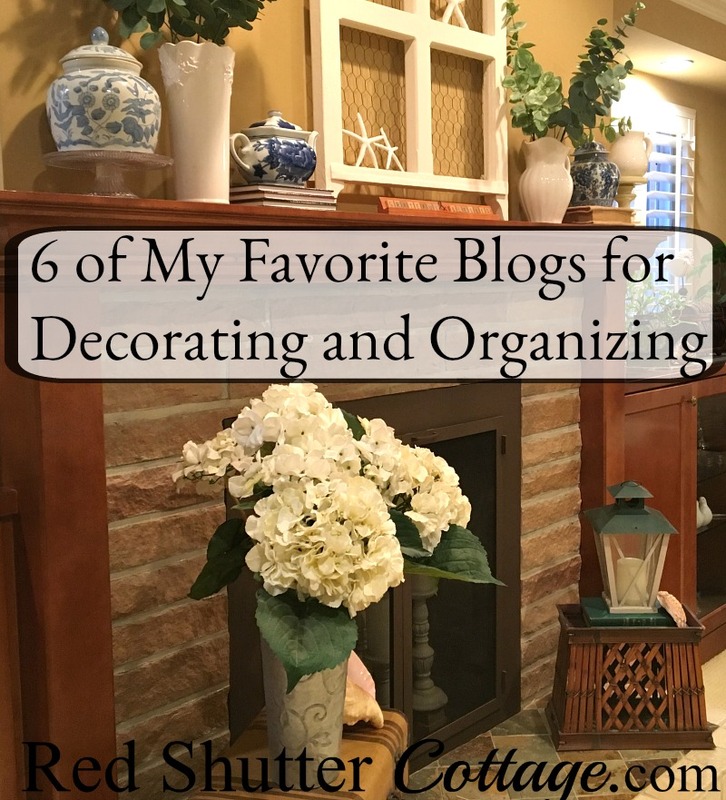 Happy 2019!~ As a salute to the new year and all things related to improving habits, systems, and life in general overall, I wanted to share with you 6 of my favorite blogs that talk about decorating and organizing. Decorating and organizing are the subjects that pique my interest more than almost anything else. Not just on blogs, but in books, magazines, internet articles, you name it! 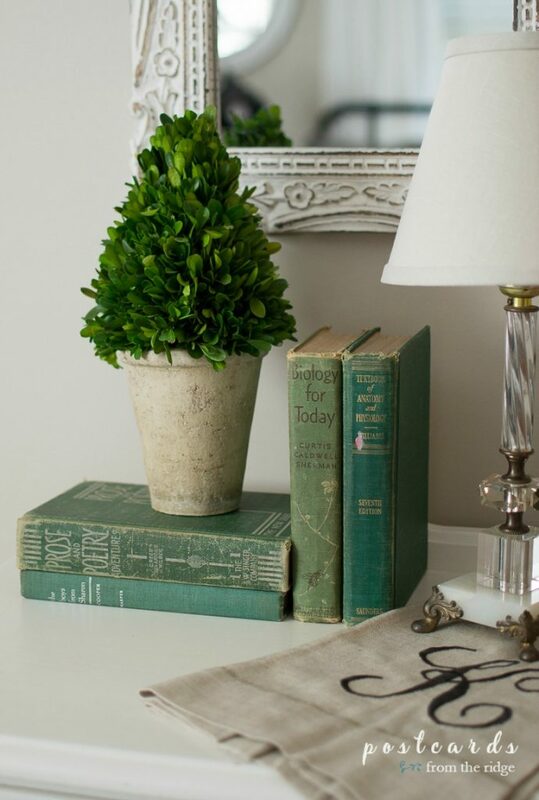 Articles or posts that share systems, ideas, or inspiration about home décor and organizing immediately get my attention They are simply my favorite things to read about. 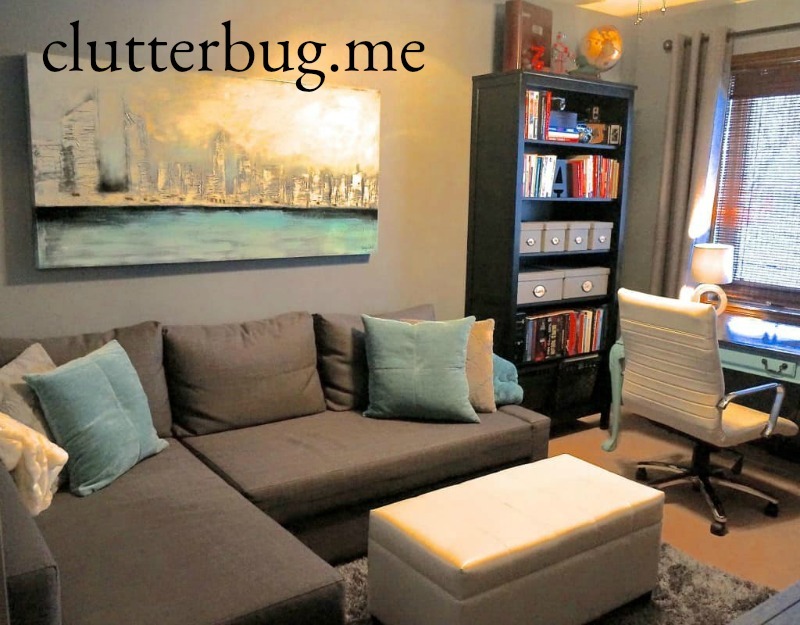 So, without further ado, I bring you 6 of my favorite blogs for decorating and organizing. There is one core element to these 3 blogs which is what draws me to them. These homes are real homes, in an every-day sense of the word. Their style is not ‘on trend’. They are warm, personal, with a well-loved, well-lived in feeling. They are filled with furniture and accessories that are expressive of the people who live in them. These home interiors are genuine outer expressions of their personal taste and style. For the most part, these homes are filled with pieces that are inherited, or collected from thrift shops or garage sales. True to the name of her blog, Paige lives in Asheville, NC, a southern girl, born and raised. And boy, does she make me laugh! Paige buys and paints used furniture, and sells it in her booth at a shop called “Sweeten Creek Antiques”. Unless she can’t part with it, and then she keeps it! See this post about her coffee table and this post about her dining table. The fun part is her hilarious stories of how, when and where she finds them. She has a knack for inviting you into her life. Her posts are colored with stories about snow days with her husband, feet-y pajamas, decorating her front porch, all she learned from her Mama, entertaining for Christmas, her two adorable cats, and the simple joy of morning coffee on her back porch Favorite quote: “I love every aspect of Home Keeping and frankly am just baffled by people who don’t. My home is my refuge, my safe, warm and cozy place.” This comment just reeled me in; I could not have said it better. Susan has such an interesting story. She had a career as a Registered Nurse. Then she changed careers to law, and worked as an attorney in medical malpractice. Then she walked away from it all, and started painting furniture in her studio. (Anyone ELSE feeling like a slacker?) She lives with her family in Seattle, WA in any cozy, airy home filled with second hand furniture, and thrifted accessories. She has a light touch and a wonderful eye for detail and composition. 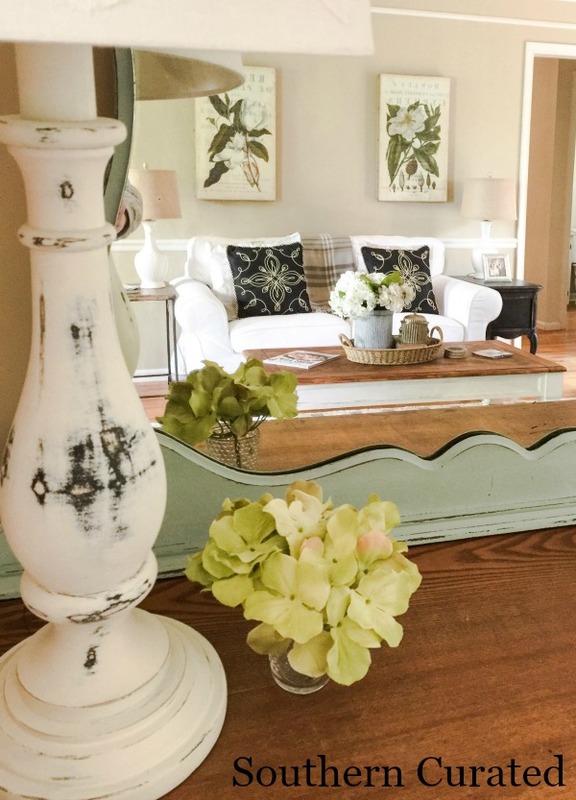 Like Paige, she generously shares her step by step process of how she finds, preps, paints and finishes her furniture projects. Favorite posts: Fall Post Table for Two and In Defense of Painted Furniture, an articulate and enlightening discussion about painting furniture. I enjoy this blog for many reasons, but the biggest one is that Angie’s style does not fit neatly into one category. 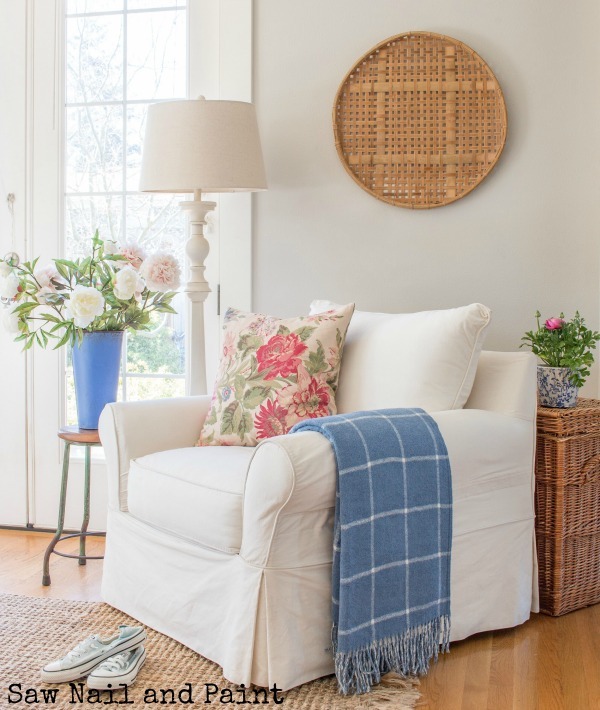 Rather it’s a mix of cottage, farmhouse, some vintage, and healthy dose of good old creativity. Her home feels inviting and charming, and most of all, genuine. On her blog she has a “Start Here” category, which I think is genius. She talks about who she is, how she started blogging, and what kinds of things you will find on her blog. And trust me, she covers it all. She offers decorating ideas, projects and tutorials, travel tips, even blogging tips! And she has an on-line shop called Emory Valley Mercantile, filled with fun and pretty items that fit in easily with all décor. 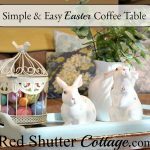 Favorite posts: Fresh and inspiring $100 Studio Makeover and Tiered Tray Styling Ideas That You’ll Love. 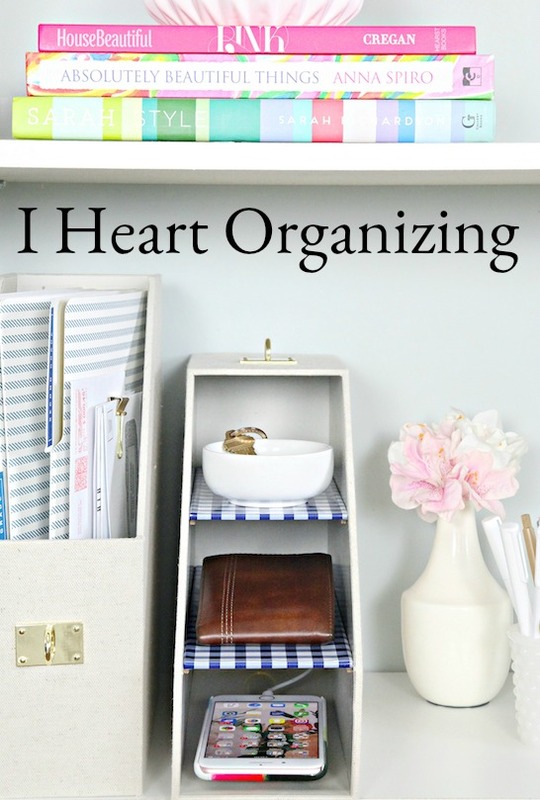 Although I personally love organizing, I have shied away from doing a lot of posts about it because I have always believed so strongly that organizing is a HIGHLY personal function. (But if you must, here’s one: Containing the Containers Case in point, I keep cat toys in a kitchen drawer with my spoon holders and oven mitts, but we’ll talk about that one in a later post…. But the blogs I list below offer an extravaganza of instructions, samples, information, and guidance about organizing. And they back it all up with planners, printables, courses, YouTube videos, and one has a podcast! I have been reading this blog for years. Abby thrives on organization. She seems to just hum with it. Over the years, I have read her stories about her challenge with breast cancer, her husband losing his job, and how they turned it all around, bought their own plot of land and built their dream home. As a contribution to the blogging world, she wrote a book called “Building A Framework”, and has helped thousands of bloggers (including me) with navigating the challenge of building a blog. She offers a whole library of free printables that help with organizing and scheduling, an abundance of ideas for decluttering and cleaning, and her warm, open heart. This is one of the very first blogs I started following, and is still a favorite. Jen is a pro at not only what she does, but how well she writes about it on her blog. Minute attention to detail seems to be her superpower. When you get to her blog, jump right in – it doesn’t matter where you start. All of her posts are long, detailed, informative and very interesting. Bonus! Jenn has a team of 10 other bloggers that occasionally guest post on her blog. On her blog menu there is a link with bios of her team members and a list of THEIR posts, giving you have access to 10 more ‘organization’ blogs to read! 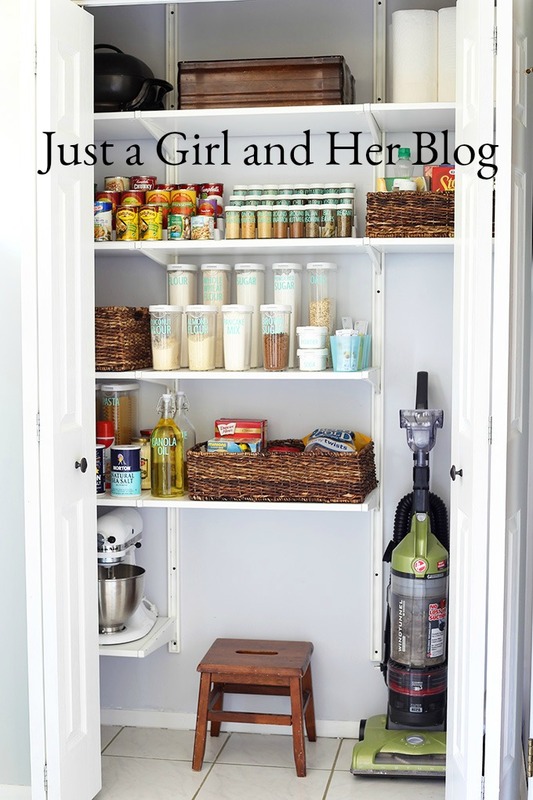 Favorite Post: My Five Favorite Ways to Organize Room-by-Room. I just recently discovered Cassandra just a few weeks ago. And honestly, she kind of inspired this whole post. The world is filled with organizing advice, but the ideas and systems offered in blogs and books are from the author’s viewpoint and style. Cassandra is the first “organizer” I have come across that recognizes and teaches that everyone has a different organizing style. I think this is brilliant. She has created four main categories of organizing: Bee, Butterfly, Ladybug and Cricket (that’s me!). There is a quick, fun test you can take on her blog that will help you identify which ‘bug’ you are. She then proceeds to provide ideas, insight and helpful information for each ‘type’ of organizing bug. I have binge-listened to her podcast, and am starting to work through some of her YouTube posts. She is VERY open about her past and her struggles with keeping her home clean and organized. She doesn’t sugarcoat or hide her failures and setbacks. But this only makes her real and credible. On her podcasts and videos, she is chatty and warm, and shoots straight from her heart, and her labelmaker. Even if you think you have organizing down pat, go take the test! You may learn even more about your organizing style. These are just a few of the blogs that I find interesting entertaining helpful and inspiring. There are more blogs that I subscribe to, read and enjoy in these niches, but I am pretty sure you don’t have a whole day to read through a post about them. I hope you take the time to stop by these blogs, and see if they are a good fit for you and your interests. As always, I hope you find something in this post, and in these blogs that inspires your creativity, your productivity or that you just find helpful! I’m super excited to read this post, as I am not familiar with these blogs! Hopping on over to check them out, thanks for the tips! Debbie – I do hope you enjoy these blogs. I get a lot of inspiration and ideas from them. I’m so glad you shared this post with the Hearth and Soul Link party, Kristine! All of these blogs are new to me, and I’m so pleased to discover them. I know many others will feel the same way! I’m featuring this post at the party this week. Hope to ‘see’ you there! Have a lovely week ahead! April – Thank you so much for the feature !! I truly do enjoy these blogs and hope that others will find them as valuable as I do! Again-thank you so much! I also love Angie and Susan’s decorating styles. I’m not familiar with Southern Curated and I’m looking forward to checking that blog out. Paula – There is so much genuine warmth and beauty in their homes, and they are always such an inspiration! I hope you enjoy Southern Curated; I love her humor and when I read her blog, it feels like we we’re just chatting away. Thank you so much for stopping by. Angie – Thank you so much for stopping by. One of the things I truly value in a blog is the sense that it is a real home with real people, and that design and character come from straight from the heart. That is what draws me to your blog, and what I strive for in my blog. Best wishes for a wonderful 2019!